Karen Wissel began serving as an Adjunct Instructor in Modern Dance for the CCM dance division in the Fall of 2012. 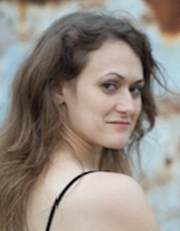 In the Fall of 2015 she created the first online modern dance technique class offered by CCM, and as a certified quality matters instructor, she is currently teaching Modern Dance Online for CCM. She received her BFA in dance from the Ohio State University. While attending OSU she studied under Vera J. Blaine and Bebe Miller. In addition to teaching at CCM, she is the Lead Organizer for the Mississippi Improvisation Alliance and often collaborates with computer music composers to create choreography that utilizes sound-movement interactive technology. She is the co-founder/artistic director of Interactive Sonic Dance (ISD). She presented an Introduction of A General-Purpose Interactive Dance Methodology for the 2015 Society for Electro- Acoustic Music in the United States (SEAMUS) National Conference. Her choreo-musical works have been performed in the United States and Japan.